At press time, the father of crypto has sunk deeper into oblivion and is now trading for just over $6,900. This is a $600 drop from yesterday’s price, which leaves many investors and enthusiasts worrying about the future of crypto. Is bitcoin about to disappear for good? All the currency’s gains over the last two weeks have now been completely erased. 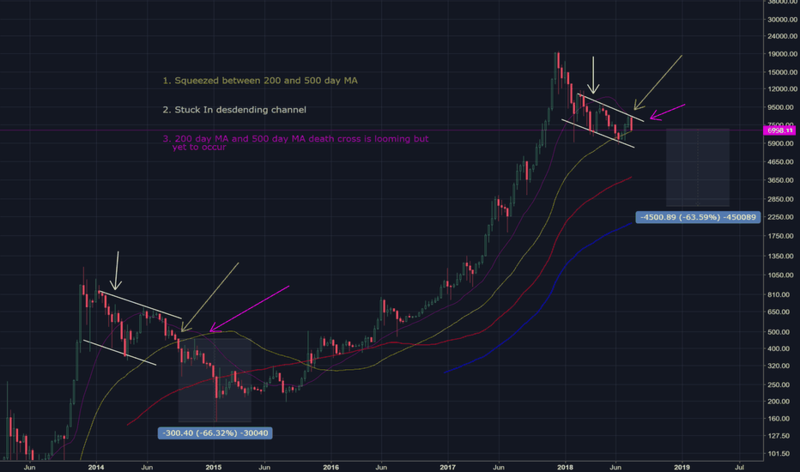 Bitcoin has fallen by roughly $1,300 since it first began its ascent beyond the $7,000 and $8,000 marks, and all its previous moves have become null and void.